I guess I didn’t really know how tall prairie grass can get! 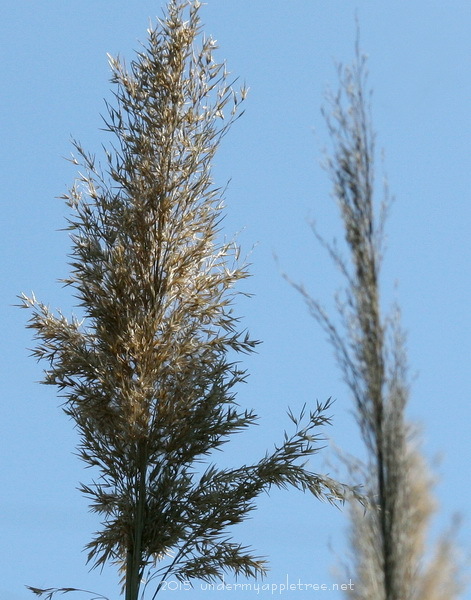 This grass was about 4 or 5 feet tall – I shot up from the ground to get the blue sky background. Some varieties can get to 6 feet or more. Wow, I had no idea it could grow that tall! Optical illusion! At first I thought the image on the left was a tree in the distance with a tip of grass at the right, in the foreground. Very nice. Wow! How tall is that? It’s reaching for the sky–terrific photo!